The first completed match of the day saw Johanna Konta deliver a superb display to beat the in-form, Pauline Parmentier, 6-4 6-0. The Brit was missing groundstrokes and returns early on but soon found her range, winning the last seven games. Konta dropped just seven points on her serve and didn’t face any break points in what was her most complete display since Australia. And Konta will face Lara Arruabarrena in the fourth round who upset Madison Keys, 7-5 7-5. 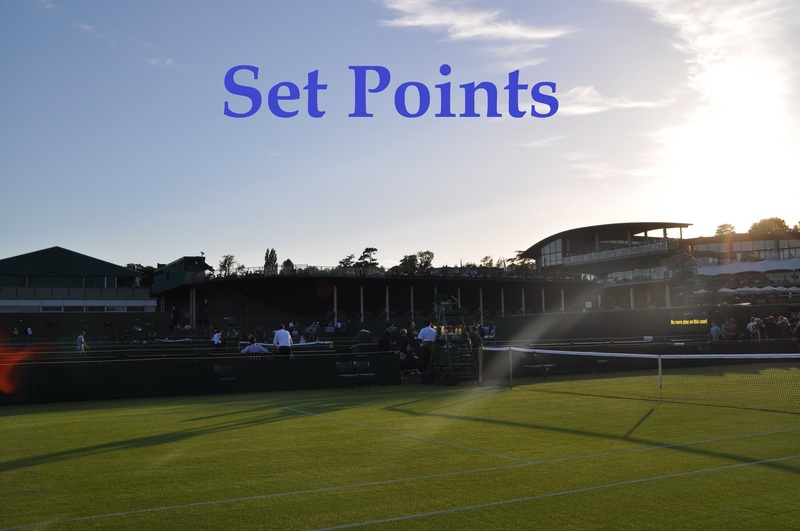 Keys missed ten break point opportunities in the first set including three set points. The American was then broken at 5-5 with three double faults and promptly took a medical time-out for a shoulder injury. Keys finally got her break of serve at the start of the second set but couldn’t consolidate as a superb Arruabarrena, at the second time of asking, sealed the win. Aside from a retirement win over Simona Halep in Beijing in 2015, this is the best win of Arruabarrena’s career so far. It was sad to see all the abuse that Madison was getting on Twitter. I kind of wish she wouldn’t share it all as it’s giving attention to these losers, which is just what they want. What a week this has been for Risa Ozaki who has won five matches, coming through qualifying, to reach the last 16 in Miami with her best ever result on the WTA tour. Ozaki was everywhere, chasing down balls all over the court and mixing up her shots in defence to frustrate an erratic, Julia Goerges, 7-6(5) 6-3. Ozaki isn't too confident in her English yet, but feels this is the best she's ever played @MiamiOpen. Sveltana Kuznetsova took some time to get to grips with the unusual game of Taylor Townsend, particularly the kick on the American’s serve. From a break down, Kuznetsova settled into the match and her quality shone through in the end including a sensational get in the second set (see video below). Kuznetsova won, 6-4 6-2 in 78 minutes. Side note – I lovee the shape on Townsend’s forehand, an awesome shot. From a break down in both sets, as well as winning five of the last six games, Angelique Kerber toughed out a tight two set win over Shelby Rogers, 6-4 7-5. There were some bright moments from Rogers but errors were her undoing and she often didn’t look comfortable or didn’t do enough in the forecourt. Once again, not vintage tennis from Kerber but a win is a win with some nice moments and convincing closes of both sets. Sam Stosur won 12 of the last 14 points to avenge her defeat to Peng Shuai earlier this year in Taipei City and extend her head-to-head record over the Chinese player to 7-1. Stosur produced some top-notch tennis towards the end, serving big, moving well and really going after her strokes with a lot of success. Stosur broke serve at 5-5 in the third set on a sensational point with a perfect lob on the defence. This was a superb match and one of the most enjoyable of the tournament so far. From a break down in the first set, Venus Williams won 11 of the last 12 games to defeat Patricia Maria Tig, 6-3 6-0. Venus was in a good mood after the match! Simona Halep enjoyed an excellent win over Anett Kontaveit, 6-3 6-0. Loved the pair of points linked below. Simona said in her post-match interview that it was her best match of the year so far. A full preview is up for an intriguing fourth round match between Garbiñe Muguruza and Caroline Wozniacki, second up on Stadium court on Monday. A pair of snap previews are also up for Mirjana Lucic-Baroni vs. Bethanie Mattek-Sands and Dominika Cibulkova vs. Lucie Safarova. Some good matches to look forward to on Monday! A trio of polls below..
And finally, the main draw of the $60k Croissy-Beaubourg tournament will be one to keep an eye on over the following week. Just a heads up that there are unlikely to be any posts on Monday as i’m being sociable tonight. March 27, 2017 in Miami, Set Points, WTA. How is Venus doing this?! She looked like she could barely walk by the end of her run in Indian Wells and here she is a week later delivering bagels! As much as I’d love to see an epic contest between V and Kuze… I also really want to see Sveta go through to the quarters with some gas left in the tank, so I’m hoping she plays a super clean match. Respect to Venus, she’s amazing. I’d fancy Sveta to win tonight though. So would I, but you never know. It’s usually the matches where Sveta should win where she doesn’t and vice versa. Venus is one of my favourite players due to her fighting spirit and reliability at trying to keep order in the WTA but she has really been helped with the draws by the WTA/ITF in the last 12 months, where I don’t feel that the quality of her tennis has been that impressive. I feel that her draws are usually full of seeds on bad form so she often doesn’t have to play them, instead playing unheralded players who are new to reaching that stage of the tournament or just lose focus due to Venus’s star power and produce an erratic display. Although I am happy that she is being successful results-wise, it is largely due to the favourable draws she has received constantly in this period. This is evidenced by her not having a Top 10 victory since 2015 Wuhan, and only four Top 30 victories in 2016 and 2017 (so far) combined! She has a top ten win now! And from the highlights it looks like she played very well! In some ways Venus’s 2017 form isn’t as fortunate as I made it out to be, seeing as she has only lost to the eventual champions in her 3 previous tournaments this year. I enjoyed the videos of those big green Iguanas on the court with Tommy Haas and Kristina Mladenovic. Ah yes! I forgot to share the video of Kiki and her team with the iguana from Twitter yesterday. This is weird, Iguanas have a third eye on top on their head! Venus should have won that match 62 63. She needs to cut down on her unforced errors. Missing easy shots and making 31 unforced errors. It was a great match, hard hitting, great shot making and a lot of rallies. If Venus keeps this up, she can beat Kerber in 2 sets.